The grizzly bear is one of the most glamorous and prestigious wildlife species in Alberta. Seen by many as the perfect symbol of Alberta’s untamed wilderness, the grizzly is nevertheless under enormous pressure in Alberta. Grizzly bears require a credible recovery plan which is enforced, legislated protection of core habitat, and a reduction of human-caused mortalities. This will require comprehensive and well funded programs and a dedicated budget to grizzly recovery. AWA believes that the draft 2016 Grizzly Bear Recovery Plan must apply the Precautionary Principle to reduce disturbances and human access into grizzly habitat before there can be a viable population in Alberta. AWA is working to ensure that Alberta has a credible grizzly bear Recovery Plan that is enforced throughout Alberta. Grizzly bears cannot survive without greatly improved protection of their habitat. AWA is working towards protection of key grizzly bear habitat in areas such as the Castle Wilderness, Bighorn Wildland, Little Smoky, Kakwa and Chinchaga. AWA will also continue to support the need for a comprehensive and well-funded Bearsmart program, as well as well-funded programs to educate land owners and hunters. The grizzly bear – or brown bear – is one of Alberta’s two bear species. Coat colour is not always the best way of telling the two species apart; grizzlies vary from blonde to dark brown, while black bears are even more variable, ranging from yet black to white. Grizzlies are better distinguished by a shoulder hump, and a flatter, dish-shaped face. Males, at 2-300 kg, are larger than females, at 1-200 kg. Grizzly in Kananaskis. Photo credit R. Douglas. Grizzly bears are true omnivores. They will eat meat or carrion whenever they can find it, as well as fish and insects, but a large part of their diet is plant matter: roots, grasses, berries etc. In the fall, grizzlies are almost entirely focused on building up the fat reserves to last them through their winter hibernation. If they can feed well enough, they stand a good chance of surviving the winter: if not they won’t. High energy food sources such as berries or whitebark pine seeds are crucial at this time of year. Grizzlies need a huge range to supply their needs. Female home ranges are from 150 – 3,000 km2; male home ranges are from 500 – 5,000 km2. Grizzly bear populations are limited by a slow reproductive rate. In Alberta, females first produce cubs at age 4 – 8 years; litter sizes are small, and cubs are only produced every 3 – 4 years. Historically, Alberta is estimated to have held 6-9,000 grizzly bears. Grizzlies ranged across the whole of Alberta, across Saskatchewan and into Manitoba. Alberta’s current population estimate is 581 bears (not including parts of the National Parks and the Swan Hills area). With the extirpation of the plains grizzly in the late 1800’s, their range is now restricted to the Rocky Mountains, Foothills and northwestern parts of the Boreal forest. The Alberta government uses World Conservation Union figures, which suggest that a population of less than 1,000 breeding individuals should be listed as threatened. The underlying cause of Alberta’s low grizzly bear population is habitat disturbance. Alberta’s mountains and foothills are traversed by a huge network of industrial access roads. Of 172 reported human-caused grizzly mortalities on provincial lands, 89% were within 500m of a road (Benn 1998). Industrial roads allow increased access for both legal and illegal hunters. Grizzly bears are notoriously sensitive to disturbance. In the fall, grizzly bears need to feed extensively to build up the fat reserves to last them through the winter. Disturbances reduces the efficiency of feeding and may have an impact on the winter survival rate of hibernating bears. Alberta’s grizzly bears have the lowest known productivity in North America. Females first produce cubs at age 4 – 8 years; litter size ranges from 1.4 – 2.2 cubs per litter; and mean interval between litters ranges from 3.0 – 4.4 years. This means that keeping grizzly bears alive, particularly adult females is vital. Current long-term mortality levels are too high to sustain the Alberta population. Prevent the loss of grizzly habitat. Legislated protection of key habitat areas, such as the Bighorn, Castle and Chinchaga is vital. Introduce measures to reduce the enormous network of industrial roads throughout the foothills and boreal forest. The Alberta government’s 2010 report, Status of the Grizzly Bear in Alberta, puts Alberta’s current population estimate at 691 bears (not including parts of the National Parks). This figure is the result of a 5-year DNA population survey carried out by provincial grizzly bear scientists. To put this number in perspective, in 2002, when the population was believed to be 1,000 bears, the government’s Endangered Species Conservation Committee recommended that the grizzly should be designated a threatened species. This recommendation was finally adopted by the Alberta government in June 2010. Sign up to our Wilderness and Wildlife Defenders team. Citing increased grizzly visibility near their properties, a group of ranchers calls for a resumption of the grizzly hunt to deal with “problem bears.” The Alberta Fish & Game Association (AFGA) echoes this call in two resolutions passed during their February 28 AGM. AWA and other conservation groups remain firmly against the hunt, and remind the Government of Alberta regarding their commitments in this matter. There is no indication from AESRD that the hunt is to be resumed. An AESRD “hair snare” study in BMA 6 that uses DNA samples taken from grizzly hair rubs to conduct a population estimate wraps up its second season of data collection. Results from the first season, 2011, indicated the same number of bears on public lands as had been previously estimated to live in all of BMA 6. Results from the second season, 2012, are expected to include private lands, and be finished analysis in June. AWA and other conservation groups meet with Alberta Environment and Sustainable Resource Development (AESRD) Minister Diana McQueen regarding the Recovery Plan that is due to expire April 1, 2013. Reassurance is given that the plan is to be renewed for a further five years without substantial change. Assurance is also given that there are no plans to reverse the ban on hunting, which will not be reversed unless the necessary conditions as outlined in the Recovery Plan’s Appendix 1 are met. Though recorded grizzly deaths fell in 2010, the number of bears relocated jumped noticeably, according to the Alberta government’s newly released annual update on grizzly recovery. In the area between Highways 1 and 3, where the grizzly population is estimated at 90 bears, six bears were recorded killed in 2010, and another nine were relocated out of the area. Fifteen bears removed from a population of 90 in one year is obviously a huge hit for a threatened species, especially such a slow-reproducing one. AWA and other groups call for serious investment in a coordinated program to reduce the attractants that bring bears into contact with people, to the detriment of both. The first official grizzly record of the spring is an adult male shot and killed by a landowner near Coleman. The bear was defending a deer carcass and charged the man. This is an inauspicious start to the year for the imperiled grizzly, particular as mortality levels for bears in the Castle/ Crowsnest region have been unsustainably high for several years. Environmental groups, including AWA, call for a moratorium on all new road development in grizzly bear range, until access density thresholds recommended in the 2008 provincial grizzly recovery plan are met. A new report reveals that motorized access density in southern Alberta’s Ghost Watershed is more than three times that officially recorded by the Alberta government, and more than four times the maximum recommended in the province’s Grizzly Bear Recovery Plan. The report, An Assessment of Cumulative Effects of Land Uses in the Ghost River Watershed, Alberta, Canada was prepared for the Ghost Watershed Alliance Society by ALCES Landscape and Land-use Ltd.
1.20 km/km2 – maximum access density as recommended for this grizzly bear habitat in the province’s 2008 Grizzly Bear Recovery Plan. More detailed grizzly mortality figures for Alberta are released by the provincial government. These reveal that mortality levels in the Castle region remain at shockingly high levels. The population in this region was estimated in 2010 to be 51 individuals. In 2010, five bears were killed in the area and one more relocated out of the region. This adds to the 5 bears removed from the population (one killed and four relocated) in 2009. The Castle continues to be a significant population sink for grizzlies. Mortality figures for Alberta grizzlies in 2010 are released.An estimated 29 grizzlies died in Alberta, approximately 4.2 percent of the population. This level of mortality is much higher than the 2.8 percent mortality rate suggested as “sustainable” in the Alberta government’s own 2010 report, Status of the Alberta Grizzly Bear in Alberta. Minister Mel Knight announces that the province is now designating the grizzly bear athreatened species. This comes 8 years after the recommendation from the province’s Endangered Species Conservation Committee. Although the listing under Alberta’s Wildlife Act does not commit the government to much more action, it is an important symbolic act, recognizing the perilous plight of the province’s grizzlies and suggesting that recovery actions will now begin. A major new report, Grizzly Challenge: Ensuring a Future for Alberta’s Grizzlies, is published. The report, commissioned by seven organizations (AWA, CPAWS, Y2Y, Wild Canada Conservation Alliance, Sierra Club Canada, David Suzuki Foundation and Natural Resource Defense Council), and written by biologist Jeff Gailus, is released May 28 at a packed news conference at Calgary Zoo. The provincial Endangered Species Conservation Committee repeats its 2002 recommendation that the grizzly be designated a threatened species. Minister Mel Knight announces that the spring grizzly bear hunt will be suspended for 2010. Results of the fifth and final year of the government’s detailed DNA study of grizzly bear numbers is published. The study was ended with some parts of the province – the Swan Hills area, and northwestern Alberta – still unstudied. The population estimate for those areas surveyed is 581 individuals. Bear researcher Dr. Steve Herrero estimates a provincial population of no more than 700. This compares to the 2002 estimate of 1,000 bears, which triggered the first scientific recommendations to list the grizzly as athreatened species. The Alberta government postpones its decision on whether or not to reinstate the grizzly hunt. It will wait until finalization of an upcoming Status Report, being prepared by an anonymous independent scientist. This report will then be reviewed by the provincial Endangered Species Conservation Committee (ESCC), which will again recommend whether the grizzly should be listed as a threatened species. (ESCC made this recommendation back in 2002, but it has been ignored by the Alberta government ever since). Alberta’s scant grizzly bear population could grow by up to five per cent a year if fewer logging roads are built in the animals’ habitat, according to University of Alberta scientists Scott Nielsen and Mark Boyce. A study, published recently in the journal Biological Conservation showed that, regardless of any ecologically friendly harvesting practices adopted by industry, if road density is not reduced in logging areas, the grizzly population may continue to decline. With controlled access to logging areas, Boyce estimated that the province’s beleaguered bear population could increase by up to five per cent a year, based on a similar situation in the Yellowstone ecosystem. Still the grizzly is not designated as a threatened species, as recommended by government scientists in 2002, when the population was believed to be 1000 bears. Grizzly bear hunt is suspended for another year. The results of the 2006 grizzly population study, year 3 of a 5-year study, are released in June 2007. They make for gloomy reading. Although an overall population figure for the province is avoided, calculations from the 3 years of survey work, plus older population numbers, lead to a figure of less than 500 grizzlies in Alberta. In 2002, when the population was believed to be 1000 bears, government scientists recommended that the grizzly be designated as a threatened species. The situation is now known to be considerably worse than previously believed, but still the grizzly is not designated. After several years of lobbying, Canadian Pacific Railways announces a new program to repair and replace hopper cars on trains running through the national parks. Between 2001 and 2006, four grizzly bears were killed by trains, and a further five orphaned cubs removed from the wild, after feeding on spilled grain on railway lines. March 3: Alberta government announces three year suspension of the spring grizzly bear hunt. Decision is in no small part due to outpouring of opposition from Alberta public, and considerable media coverage. AWA congratulates Minister David Coutts on this decision, but stresses that habitat loss is the number one issues affecting Alberta’s grizzlies, and no recovery will be possible until this is addressed. In a subsequent Calgary Herald on-line poll, 85% of readers agree with the hunt suspension. After two years, the draft provincial recovery plan is still not finalized or implemented. The long-awaited grizzly bear population results from 2004 and 2005 are finally released and paint a sobering picture. Figures for 2005 are difficult to compare to the previous studies because they cover different areas, but the 2004 figures are much clearer. In 2003 there were an estimated 147 bears in the area between highways 11 and 16. The more accurate 2004 figures put this number at 53 (or 36% of the 2003 estimate). DNA study for 2006 covers the area between Highways 1 and 3; results to be publicized early 2007. Gord Stenhouse, Chair of the provincial Grizzly Bear Recovery Team, speaks out publicly in January about the withholding of information from the Team and the delay in implementing its draft recovery plan (submitted in December 2004). Stenhouse is promptly demoted as Provincial Grizzly Bear Specialist though, bizarrely, there is an initial attempt by Sustainable Resource Development to deny that he held this position in the first place. March 3: a group of 19 high profile scientists send a letter to Premier Klein, recommending that the government should endorse the recommendations of its own Endangered Species Conservation Committee and designate the grizzly as “threatened.” “The rate of industrial expansion in grizzly bear habitat is accelerating so rapidly that scientists cannot keep pace in predicting how these activities influence the survival of Alberta’s grizzly bears. At best, we are left with monitoring the species’ demise,” says Dr. Paul Paquet, director of the Eastern Slopes Grizzly Bear Project. It covers a 10 year study of grizzlies in Bow River watershed. The productivity of grizzlies is the lowest recorded anywhere in North America. On average, females have first surviving litter at age 8.4; average litter size is 1.84 cubs; and average interval between litters is 4.4 years. This means that adult mortality levels are crucial. Mortality levels for 1994-2002 probably allowed for a small increase in population, but mortalities in 2003 and 2004 were much higher. The Director of Fish and Wildlife asks the Recovery Team to provide “greater clarity” on its principal recommendations (including suspending the spring hunt and reducing road densities) and it is suggested that the recommendations be reconsidered. The Recovery Team replies that its recommendations are clear, and that the plan does not need changes. David Coutts, Minister for Sustainable Resource Development, ignores the recommendation of recovery team to suspend the spring grizzly bear hunt, and announces that 73 licences will be issued this spring. A ministerial news release refers to a “conservative approach” to the hunt, and officials cite “anecdotal evidence” that the grizzly population is healthy enough to support a hunt. There is strong opposition to the hunt from environmental groups, Alberta public, scientists and opposition politicians. 10 bears are killed in the spring hunt. Current logging practices in the Foothills Model Forest near Hinton would eliminate grizzly bears from all of the study area outside of Jasper National Park. The increased number of roads necessary to log the area would result in so many dead bears that the population would likely disappear within 50 years. Additional roads are also built to build and operate oil and gas wells in the area. Provincial Grizzly Bear Recovery Team send draft Grizzly Bear Recovery Plan to Minister of SRD. Plan will undergo a lengthy period of discussion before approval by the Minister. The draft plan is weak in addressing the need for habitat protection, though it does recommend the suspension of the spring grizzly bear hunt, and establishment of ‘Grizzly Conservation Areas’, where management will be more favourable to grizzlies. Three Alberta grizzly bear scientists concur that population on provincial land is ‘less than 700 bears’. Alberta government ignores precautionary principle, and recommendations of its own scientists, and decides to continue with the spring grizzly hunt. 1300+ letters and emails sent to the Premier to protest the hunt. “Hunting helps reduce problem bears by selecting those that are least wary and most likely to become nuisances. The population growth rate is potentially increased by harvest of adult males that kill and eat young grizzlies. There is no known scientific justification for any of these assertions. Spring grizzly hunt: 73 hunting licences issued. Hunt suspended in southern Alberta. Six bears killed. The first year of new DNA population study looks at grizzly population between Highways 1 and 11. Four Alberta grizzly bear scientists concur that population on provincial land is ‘less than 700 bears’. Alberta government ignores precautionary principle, and recommendations of its own scientists, and decides to continue with the spring grizzly hunt. 1300+ letters and emails sent to the Premier to protest the hunt. Spring grizzly hunt: 73 hunting licences issued. Gord Stenhouse is removed as Chair of the Grizzly Bear Recovery Team after suggesting to CBC TV that road densities in Alberta need to be reduced if grizzly bears are to remain on the landscape. 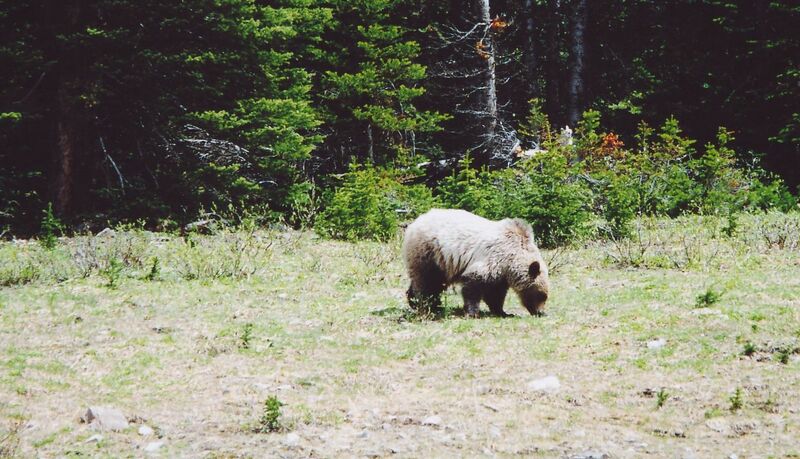 Report on Alberta Grizzly Bear Assessment of Allocation (Alberta SRD). Suggests most recent population estimate of 968 bears on provincial land not ‘biologically possible’ due to incorrect mathematical formulae (see 1990). Estimates population of 500 grizzlies on provincial land (a further 175 estimated in Alberta’s National Parks). Spring grizzly hunt: 101 licences; 18 bears killed. Known grizzly bear mortality in 2003 – 45 grizzlies. The Alberta government’s Endangered Species Subcommittee recommends the grizzly should be designated a ‘Threatened’ Species’. For the first time, the government has refused to act upon this recommendation. Grizzly Bear Recovery Team (GBRT) set up by Minister for Sustainable Development, Mike Cardinal. For ‘threatened’ species, recovery teams usually have two years to draw up a recovery plan. GBRT is given one year. For the first time, the government refuses to act upon the ESCC’s recommendation. Grizzly Bear Recovery Team (GBRT) set up by Minister for Sustainable Development, Mike Cardinal. This is a multi-stakeholder team made up of representatives from Ministries of Sustainable Resource Development (5 representatives) and Energy; Canadian Association of Petroleum Producers, Forest Products Association, Western Stockgrowers Association, Fish and Game Association, Universities of Calgary and Alberta, Parks Canada and Federation of Alberta Naturalists. One non-voting member represents AWA, Canadian parks and Wilderness Society (CPAWS), Grizzly Bear Alliance and Y2Y. We must reduce mortality of grizzlies in the Park. 5.8% human-caused mortality is unsustainably high. Habitat must remain connected, both within the Park, and with outside populations. Report by B. Benn – Grizzly Bear Mortality in the Central Rockies Ecosystem, Canada – states that 89% of human-caused mortalities (n=172) were within 500m of a road on provincial lands, and 100% of mortalities (n=95) were within 200m of a trail in National Parks. 838 recorded human-caused grizzly bear deaths. Provincial Management Plan for Grizzly Bears in Alberta produced. Estimated population 790 bears. Province divided into 21 Bear Management Areas (BMA’s). Baseline population estimates established for each BMA. Subsequent population estimates used these baseline figures, with mathematical formulae to calculate changes each year, based on known mortality, cub production etc. ‘The provincial grizzly bear population will be increased to 1000’. 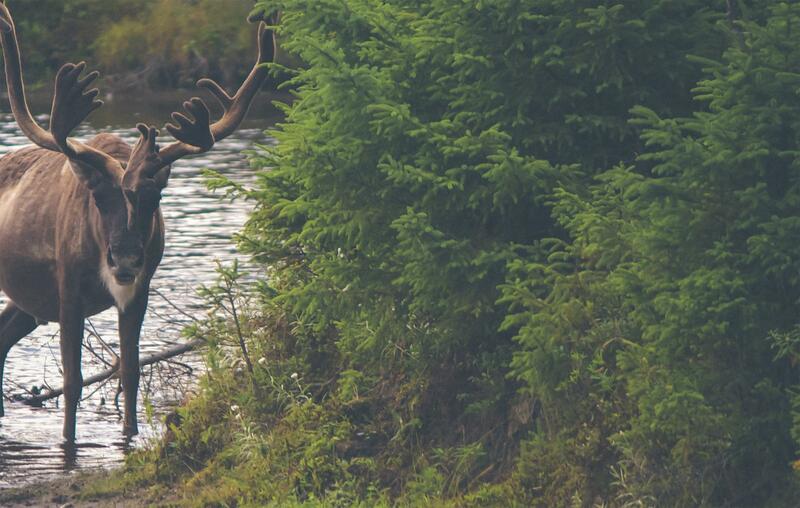 Alberta Wildlife Act empowers the Alberta Endangered Species Conservation Committee to ‘identify species that may be formally designated as endangered or threatened under the Alberta Wildlife Act’. 1050 grizzly hunting licenses issued. Average 42 bears killed per year. 850 grizzly hunting licenses issued. Average 25 bears killed per year. 200 grizzly hunting licenses issued. Average 12 bears killed per year. Fall hunt eliminated; compulsory registration of grizzly kills initiated. Grizzly population declining due to inadequate regulation of hunting, and indiscriminate anti-rabies poisoning. Grizzly classified as ‘Big Game’ in Alberta. Isaac Cowie from the Hudson Bay Company took 750 grizzly skins from the Cypress Hills area in one year. 2001. The Scientific Subcommittee of the Alberta government’s Endangered Species Conservation Committee recommends that the grizzly should be designated a threatened species, due to low population size (around 1,000 bears), slow reproductive rate and limited connection with other populations. 2002. Endangered Species Conservation Committee recommends that the grizzly should be designated a threatened species. To date, this recommendation has still not been adopted. 2002. Multi-stakeholder Alberta Grizzly Recovery Team established to draw up provincial grizzly recovery plan. 2004. Draft Recovery Plan submitted to Alberta government. Includes a provincial population estimate of 700 bears, plus a recommendation that the grizzly bear hunt should be suspended. Plan then undergoes extended period of review. 2006. Spring grizzly bear hunt suspended. March 2008. Grizzly Bear Recovery Plan passed. April 2008. Grizzly Bear Recovery Team disbanded. The team was taken by surprise by this decisions, as the Recovery Plan had made it clear that the Team would be responsible for implementation of the plan. Limit the rate of human-caused mortality. Identify, track and maintain habitat for grizzly bears. Maintain, as a minimum, current provincial distribution and occupancy levels i.e., >= 228,000 km2 of contiguous grizzly bear range. The spring grizzly bear hunt was suspended in 2006. A detailed 5-year DNA population census was carried out between 2004-08. Although it did not cover the Swan Hills area or parts of northwestern Alberta, it resulted in a final population estimate of 581 bears. Grizzly habitat has been mapped in considerable detail. “Core Areas” of grizzly habitat have been identified, as per the recovery plan. (“Secondary Areas” have also been identified, although these were not included in the plan. Any grizzly habitat outside these areas will no longer be managed to maintain grizzlies. Unfortunately grizzlies themselves are not much better off: little has been done to actually recover grizzlies on the ground, and nothing has been done to protect grizzly habitat or reduce access density. The Alberta government now rarely refers to grizzly recovery, preferring instead to use the term maintenance. Ultimately, grizzlies will only be allowed to recover in Alberta if enough people make it clear to their politicians that the great bear is important enough to protect.